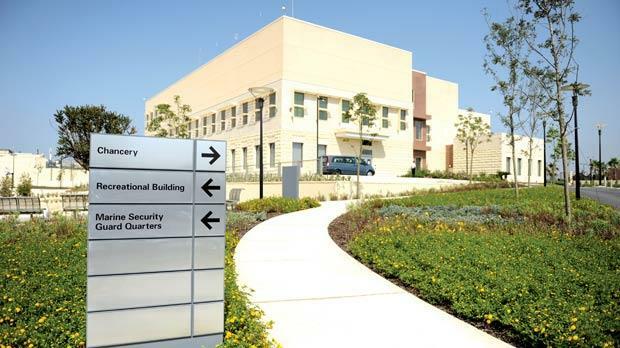 Spread over 40,000 square metres, the new US Embassy in Ta’ Qali is “a normal diplomatic compound” that will be conducting “normal diplomatic business”, according to the Chargé d’Affaires currently running the show. “There are no missile silos underneath the embassy,” Richard Mills said jokingly when asked about talk that the huge building could serve as a CIA listening post or a military operations centre in the Mediterranean. The embassy was officially inaugurated last night by President George Abela and Prime Minister Lawrence Gonzi during a flag-raising ceremony. Earlier, journalists were given a brief tour of the sprawling compound, which replaced the former elections counting hall. The land was bought from the government in 2006 for €14.6 million. Mr Mills explained that the large compound was necessary to group together various properties spread around the island that belonged to the US Embassy, including warehouse facilities and the residence of the six marines who guarded the embassy. 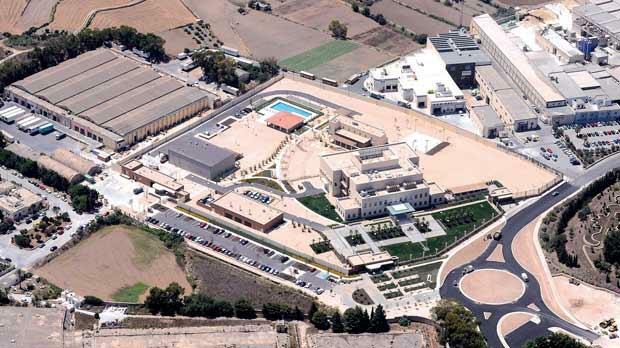 The marine quarters, which include a swimming pool and a gym, are situated at the back of the compound and the more spacious building now allows for conference rooms and a resource library that were not possible to have in the old embassy at Floriana. “I urge people to come and visit... It is a big embassy because we have big plans for this embassy. We are going to invite a lot of people inside,” Mr Mills said. However, the size of the embassy is also determined by safety regulations introduced by the US government following the embassy bombings in Nairobi and Dar Es-Salam in the late 1990s. 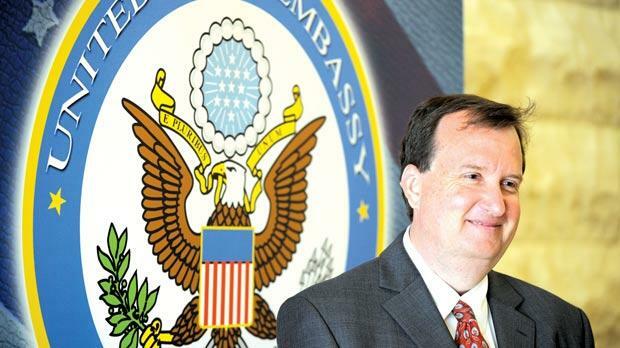 The US has not yet nominated a new ambassador for Malta following the resignation of Douglas Kmiec in April. The US diplomatic mission in Malta is at present headed by Mr Mills. Asked when an ambassador would be appointed, Mr Mills was not in a position to answer. “I don’t know. Washington intends to appoint one as soon as possible and I expect one to be here in the near future. Our system has a confirmation process in front of the Senate and it can take some time but Washington wants somebody to be here as soon as possible,” he said. With the US presidential election cycle kicking off after summer, doubts have been raised as to whether this could interfere with the process of appointing a new ambassador but Mr Mills insisted this was not the case. “It is important for the US government to have an ambassador in Malta, especially with what is going on in the region. This is a bipartisan issue and both parties will agree with that,” he said. The embassy was designed to incorporate green building techniques and is recognised as an environmentally-friendly structure by the US Green Building Council for Leadership in Energy and Environmental Design. 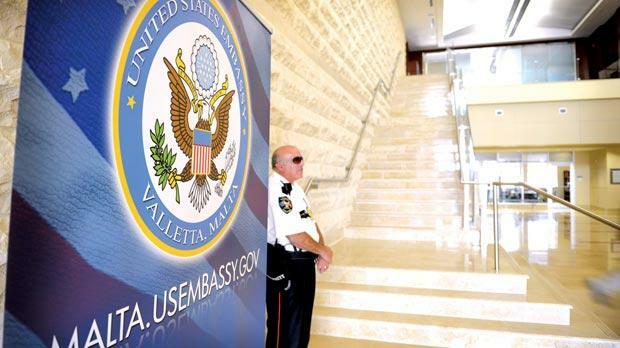 More than 125 US employees, both American and Maltese, work at the embassy, which cost €88.5 million and, at times, more than 800 workers were involved in its construction.